The San Francisco World Spirits Competition, the most prestigious and highly regarded spirits competition in the USA, has announced a quintet of medals for Ian Macleod Distillers brands’ Glengoyne Highland Single Malt Scotch Whisky and Tamdhu Speyside Single Malt Scotch Whisky. 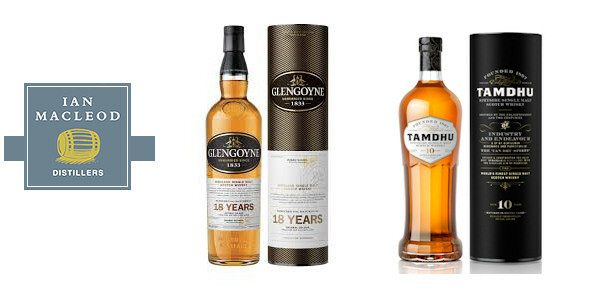 Glengoyne scooped the DOUBLE GOLD Medal for its 18 and 21YO malts, the GOLD medal for its 12YO malt and SILVER medal for its 15YO malt whilst Tamdhu lifted the DOUBLE GOLD Medal in the Single Malt Scotch category and DOUBLE GOLD Medal for Packaging. Held at the distinguished Hotel Nikko in San Francisco, the 2014 San Francisco World Spirits Competition was the largest in its 14-year history with Glengoyne and Tamdhu fighting off stiff competition from 1,474 entries. Spirit entries were evaluated by 39 of the finest palates from the industry including spirits experts from noted restaurants and hotels, well-known spirits journalists from major national media, spirits buyers for large purveyors, and spirits consultants. Ian Macleod Distillers is one of Scotland’s leading, independent family owned distillers. The company acquired the Glengoyne brand in 2003 and Tamdhu in 2011. For more information, please visit www.ianmacleod.com, www.glengoyne.com or www.tamdhu.com.